God Almighty is Al-Ḥakam. 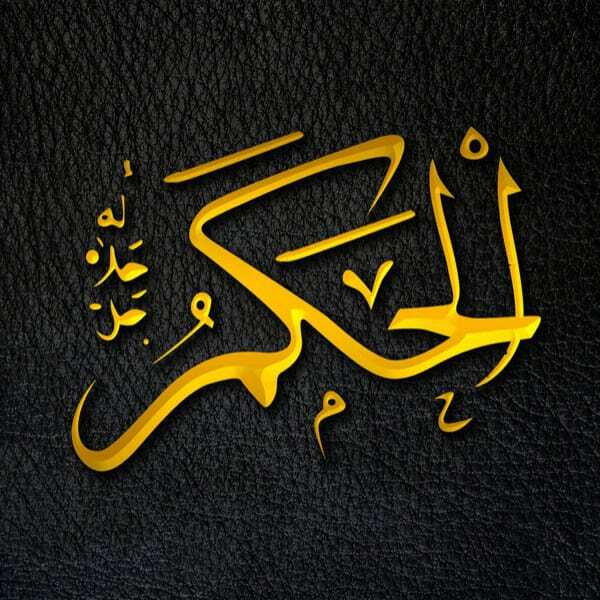 The root of this word is the three-letter root ḥ-k-m (م – ك – ح), which also gives rise to His name Al-Ḥakeem. The root means ‘to prevent’ or ‘to restrain’ (المنع), and it is linked to preventing oppression; ḥikma (wisdom) also means ‘the prevention of ignorance’ (maqayis Al-lugha). Ḥukm is not only knowledge, but understanding and execution of that knowledge; it can therefore mean ‘decree’ or ‘judgment’. In Arabic, the referee in a sports match is called a ḥakam, and a ḥākim is a ruler. One of the basic tenets of our faith is belief in “qadar (predestination), both in its good and in its evil aspects” (hadith reported by Muslim). But what does qadar mean and how do we balance it with planning and action? God has decreed certain things, and those things cannot be overturned. He has also decreed other things which He allows to be changed, as the Prophet ﷺ told us: “Nothing can change the Divine decree except du`a’ (prayer),” (Ahmad). Moreover, he ﷺ also tells us “Du`a’ is beneficial with regard to what has been decreed and what has not been decreed. The du`a’ meets the calamity that has been decreed and wrestles with it, until the Day of Resurrection.” (Tabarani) The truth is that we do not know God's Almighty decree – those things that cannot be overturned – and we will not be asked about His decree. We will be asked about our responsibilities. So our focus should not be on what He may or may not have decreed, but rather on what we should be doing.